Dan joined Stephenson Smart in 2018 having already obtained both his ACA and CTA qualifications with another local firm. He works as a manager for partner Clive Dodds and has a breadth of experience in dealing with accounts for individuals, partnerships and companies, as well as undertaking a range of taxation work. 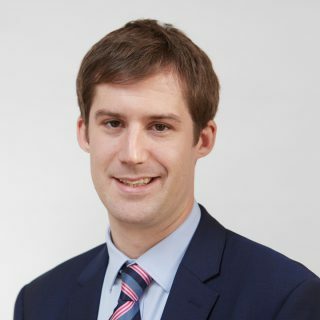 Dan specialises in income tax and capital gains tax for individuals, along with inheritance tax, trust and estate work. When Dan is away from the office he is a keen sportsman and regularly plays football and golf. He is also a member of a Round Table in King’s Lynn and helps to organise events to raise money for local charities. He is married to fellow manager Sarah Whelan.